Heinz Field Audio and Video Services is a full service production group that can supply or produce for any size event. No need is too small or request to challenging. 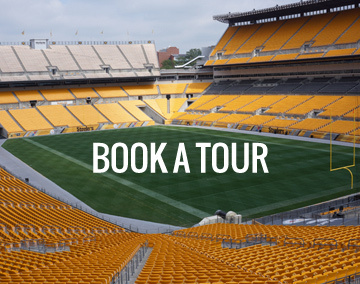 The state-of-the-art services offered at Heinz Field include the stadium’s fiber optic capabilities, which allow both receiving and broadcasting of almost any event anywhere in the world, such as live events or conferencing. Our digital stadium control room is more advanced than most television stations. Your event can also be broadcast on our 500+ in-house TV’s or use our close circuit system for things such as company logos, sponsor loops, power point presentations, etc. Equipped with 7 broadcast-quality cameras, audio gear, lighting gear, full editing capabilities and an expert in-house staff, we also produce many TV shows entirely in-house. Let us bring your production vision to life. We also offer assistance with staging, pipe & drape, presentation material and sound reinforcement. Our full-time dedicated technicians will be at your disposal to deliver any level of service. Your dedicated technician will be on-site during the planning process and for the duration of your event. 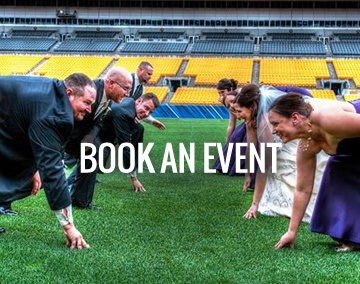 Please contact Dave Steiner at 412-697-7156 for more information or email club.events@steelers.nfl.com. Some of our more commonly used items are listed below. Please note that rates are subject to change without notice and do not include applicable taxes or fees. Listed below are some of our commonly requested service packages. Have your program broadcast on our TVs live. 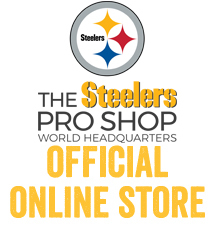 Heinz Field will provide the client with an unedited DVD copy of the program within three weeks of the event. Other post options are available. Please call for details and pricing. Please use these above prices for reference only, additional costs/equipment may be necessary depending on the event so please contact Dave Steiner at 412-697-7156 for a formal quote. We are continually adding new services and equipment, so please inquire within!